Only Administrators may add, edit or delete other users within their organisation. To do this, you can click on the organisation icon on the top right hand corner. From there you will be able to access an overview of all the organisation’s users. Here you can also invite new users and edit or delete existing ones. 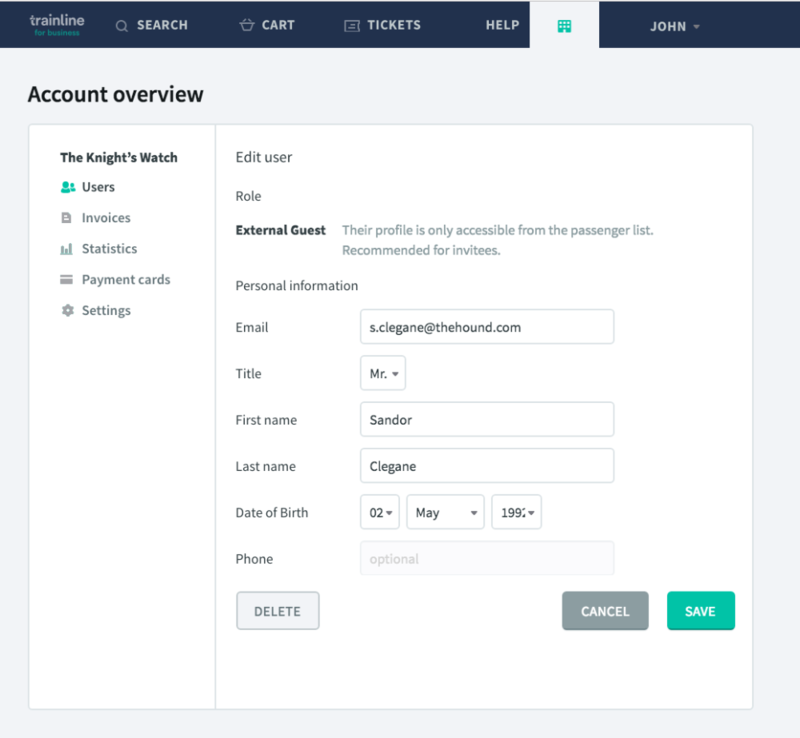 Whenever you create an account Trainline for Business, you automatically have access to the standard subscription (free). You can swap, any time you wish, from the Free Subscription to the Premium Subscription (or vice versa) via the “Settings” tab. Click on the invite user button (pictured above). 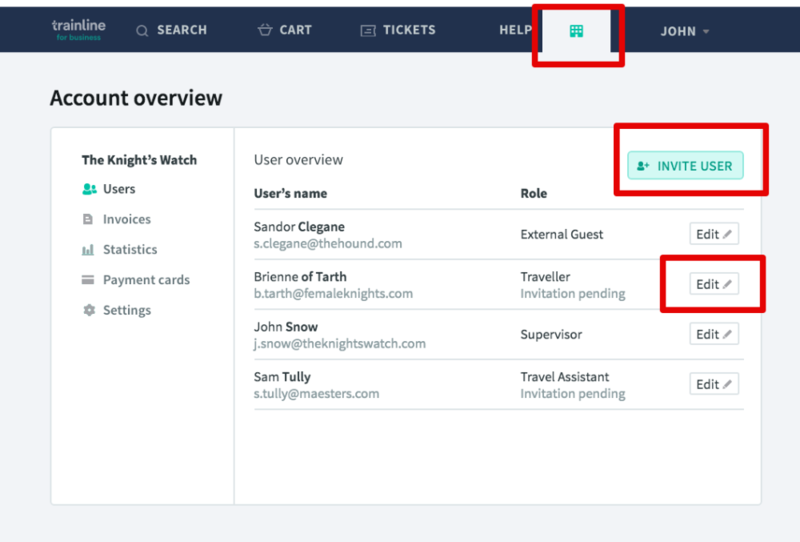 From there you’ll be able to add a new user to your organisation and assign them a specific role. You’ll also have to provide some personal and contact details, such as name and email address. Once you’ve finished the invite, we’ll automatically send them an email. With a Free Subscription, you have access to two roles: External Guest and Organisation Member. You have access to 5 differents roles if you have the Premium subscription. You can switch from a free Free subscription to a paid Premium subscription at any time via the " Preferences" option in your account menu. Whenever you create an account Trainline for Business, you automatically have access to the Free subscription. You can swap, any time you wish, from the Free Subscription to the Premium Subscription (or vice versa) via the “Settings” tab. 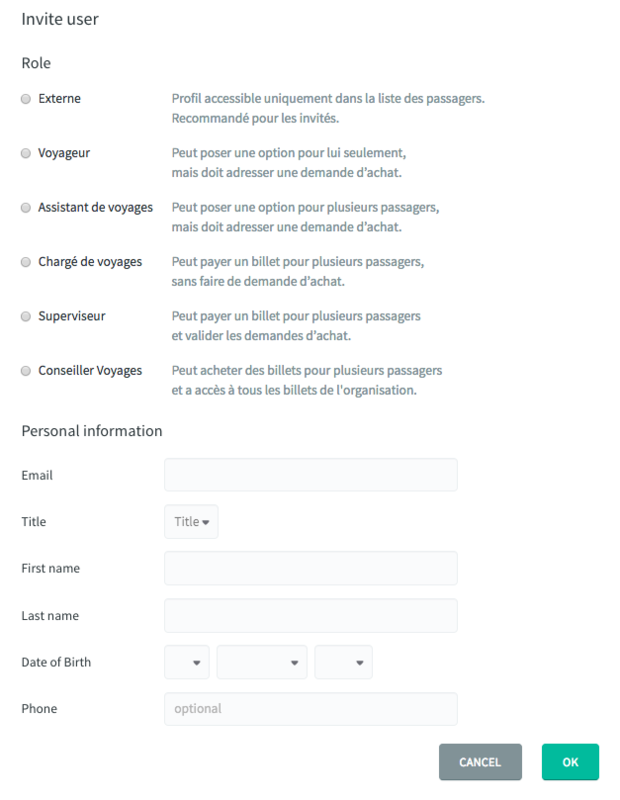 Select the user’s name in the passenger list, in your account overview (pictured above). From here, you can edit the user’s role and also modify any of their personal information - apart form their email address. 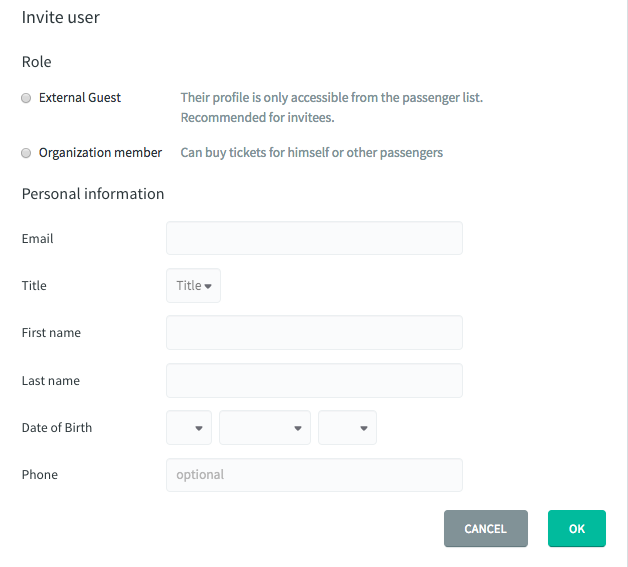 To delete a user, click on Modify next their name in the passenger list of your account overview. From there, you can click on Delete on the bottom lefthand side (pictured above). Once you’ve confirmed the deletion, the user will no longer be able to login though all of their details (reservations, tickets, refunds) will still be displayed. Please note that an account deletion is final.